M Street is a unique occurrence in Washington DC’s street naming system. The name “M Street” can be used to identify any East or West Street located twelve blocks North or South of the United States Capitol. This means that there is an M Street in all four city quadrants. But it doesn’t really matter which one you’re referring to because each one has its own characteristics to make it a truly great place to live. Here at Equity, we take great care in creating communities in places that can provide all the necessities of urban living. Residents of our communities are always close to dining, transportation, and so many destinations. There’s the National Arboretum near M Street Northeast and the lovely old-town feel of Northwest M Street. 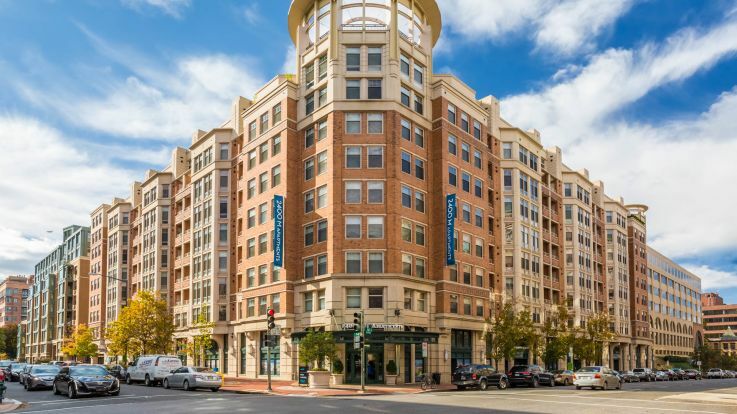 Within our M Street apartments, you’ll also have plenty of amenities to further enhance your city residential experience. Enjoy the private balconies, open floorplans, walk-in closets, and beautiful appliances. Some of our properties also have a rooftop running track and swimming pool. Make M-Street your home with Equity Residential and discover what it means to enjoy the big city.